Aaliyah, we had so much fun at your birthday party. We loved dressing up like princesses. 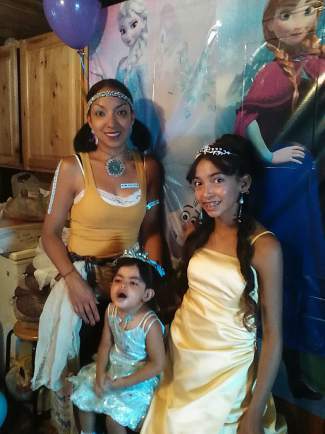 Your mom looked awesome as Pocahontas. You looked exactly like Elsa. I loved dressing like Belle. I can't wait until your next birthday. Love, Bella.